Prophetic Voice Ministries was founded by Mark Marshall in 1994. Mark has been in ministry for over twenty five years. He worked in the same church for 13 years. During that time he was being seasoned and taught in the ways of the Spirit. He has served in all phases of ministry. Praise leader, Associate Pastor, Youth Minister, Evangelist, Prophet, is currently working with groups in Stillwater OK, and Detroit MI areas. In June 1997 the mantle of a the Prophet was released upon him. He was functioning as the Youth minister at the time. The anointing was poured out and the youth group grew from about 30 kids to over 250 in six months. Young people began coming from 14 of the rural towns round the church. Many signs and wonders began to manifest, the young people were prophesying and ministering to each other. They were turning their world upside down. Mark began traveling and spreading this prophetic revival to all that would receive him. Everywhere he went the same outpouring would take place. Miracles began to come forth. His travels took him to Colorado, Illinois, New York, Florida, North Carolina, New Mexico,Texas, Kansas, Missouri, Oklahoma, Michigan, Arkansas and Jamaica. Our last 7 years we have been on an ancient path to discover hidden treasures from our Early Fathers of the faith. We are pouring our life into finding the ‘intent’ of our fathers. This has enriched our ministry to leaders of the church, Mosaics, and Business people to see a holistic view of the Kingdom of God. We are hoping to leave a legacy by writing and spending time with leaders from all over. “Our heart is to help churches, ministries, marketplace, and mosaics merge into one expression in the Kingdom of God. We currently are helping people see and move into the next phase of the Kingdom life. Hopefully this site will be one avenue to cross pollinate and celebrate our diversity.” Mark & his wife Ann have been married for 21 years and have three sons: Logan 20, Lance 20, and Rees 16. They reside and work out of Taylor Michigan. Mark Marshall has been in full-time spiritual work since 1994. He has served in virtually every single capacity in regards to church life. He currently holds credentials in good standing with Destiny World Outreach. He is also an ordained deacon in the Syrian Malabar Independent Church outside of India. 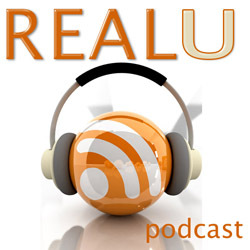 Mark frequently Blogs on the idea of living out the divine nature on Real U blog. He also currently has podcasts on iTunes on the same subject. He is a musician, mystic, friend, has written countless songs of which are sung in churches all over. He is currently writing three books, one just finished on the rewards to divine release through finances, Another on Mentoring, One on the Process, and has another one completed on the subject of Touching my Wounds. Prophetic Voice Ministries is a member of Destiny Network International. We are under the direct mentorship of Bishop Tony Miller a long time friend of the ministry and mentor.